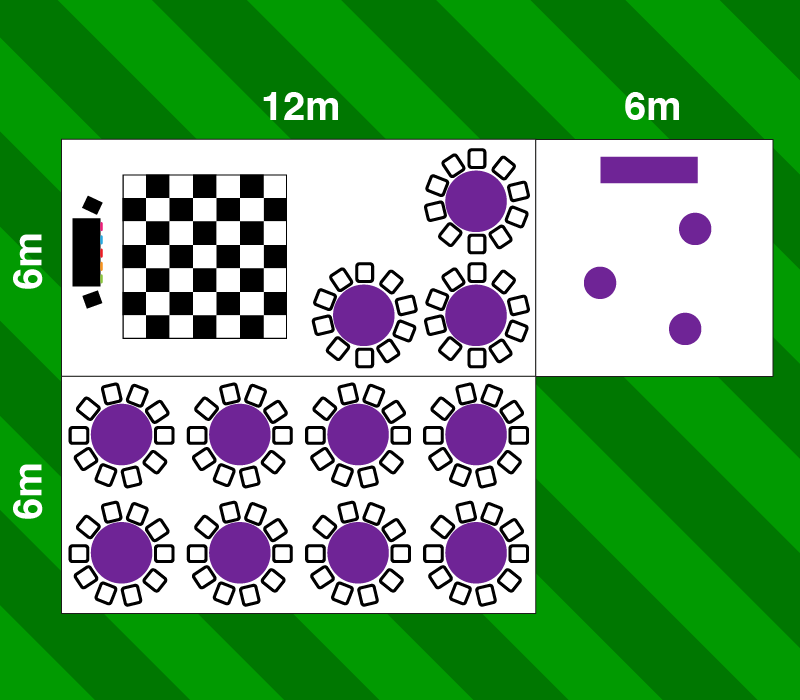 The Jigsaw 180 from Jigsaw Marquees is a super marquee venue able to accommodate larger events. 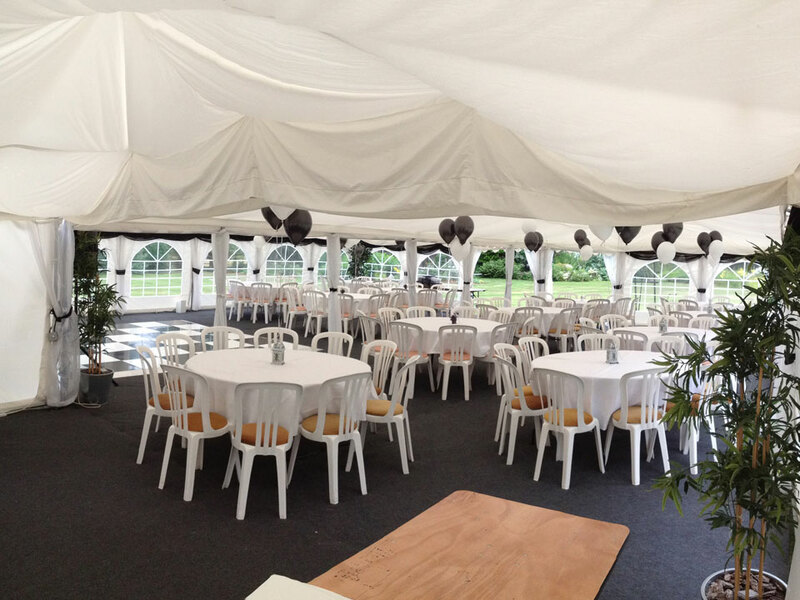 A large square marquee with a separate reception or bar area to the main space. Ideal for weddings or dinner/dances where an entrance reception is “must have” or corporate events where a bar area with separate dining space works extremely well. 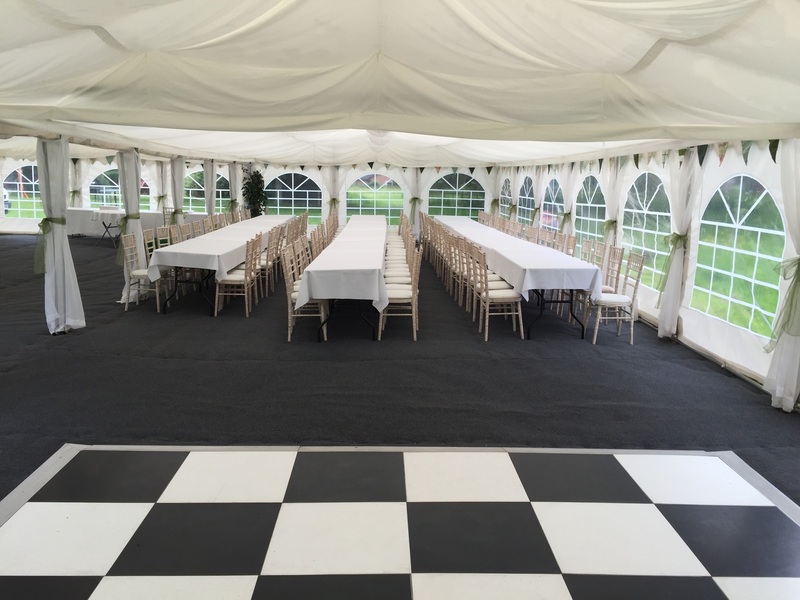 This large square marquee can accommodate 12 round tables to seat 120 guests in three quarters of the space leaving room for a separate dance floor area. 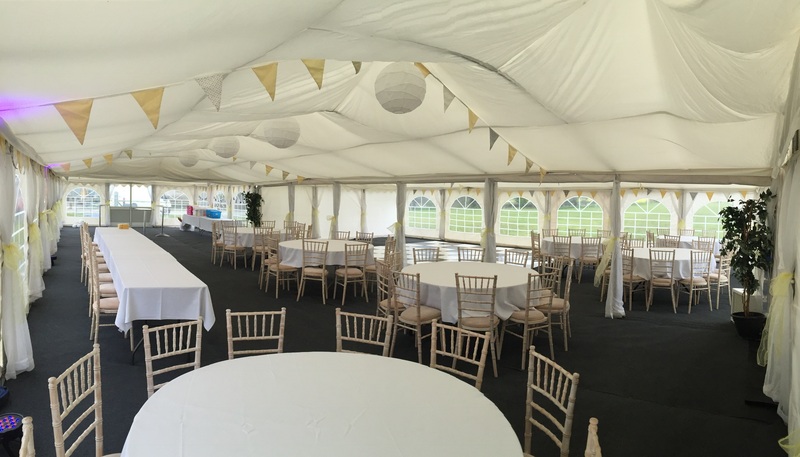 The additional reception/bar area can be placed at any point around the main marquee to suit the event and site. 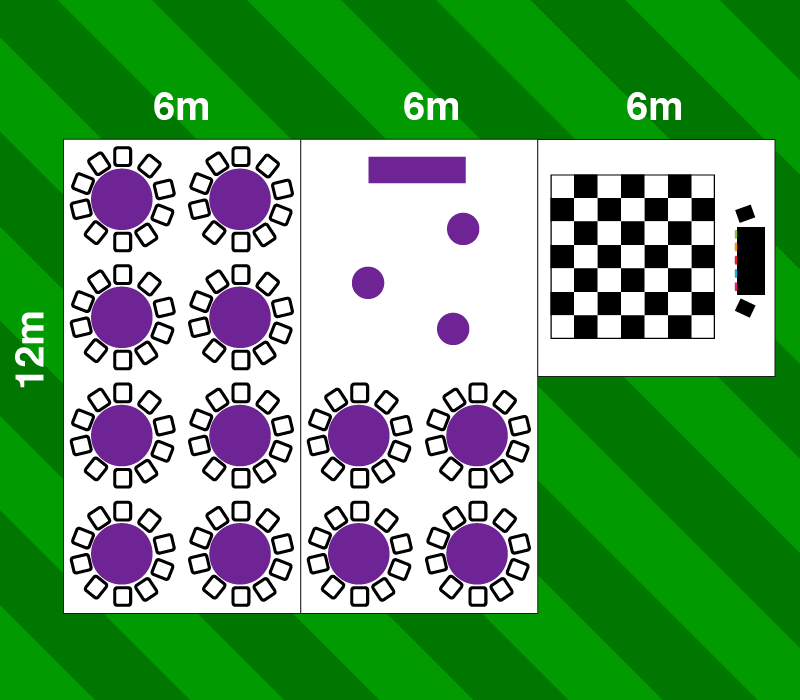 As with all of our marquees, the Jigsaw 180 can be heated for those chilly evenings or opened up in the summer to extend to the outside. 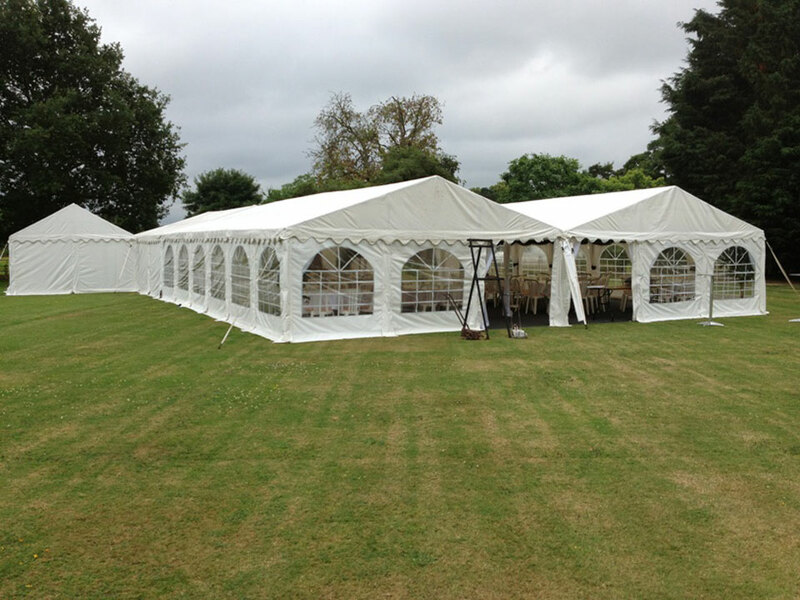 6m x 12m + 6m x 12m + 6m x 6m marquee, 3m at the apex, 2m at the eaves.